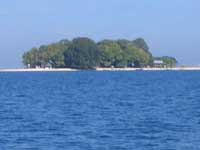 Across the harbour of Makassar is Samalona Island, which has been developed into a pleasant recreational resort. It can be reached by boat in 45 minutes and has simple accomodation. Recreational sports include diving, snorkeling, water skiing and fishing. Best months to visit are from February to October.